The demonstrator for Southern Piedmont Woodturners' November meeting on 11/20 will be member Steve Martin. Steve will present information about the development of the lathe from the earliest lathe we can document, during the Egyptian era, through the 19th Century. He will have two foot powered lathes on which he will demonstrate foot powered turning. On the more rustic lathe, he will demonstrate the use of a pole to turn the object to be shaped. The newer lathe uses a bungee as the power to turn the blanks. 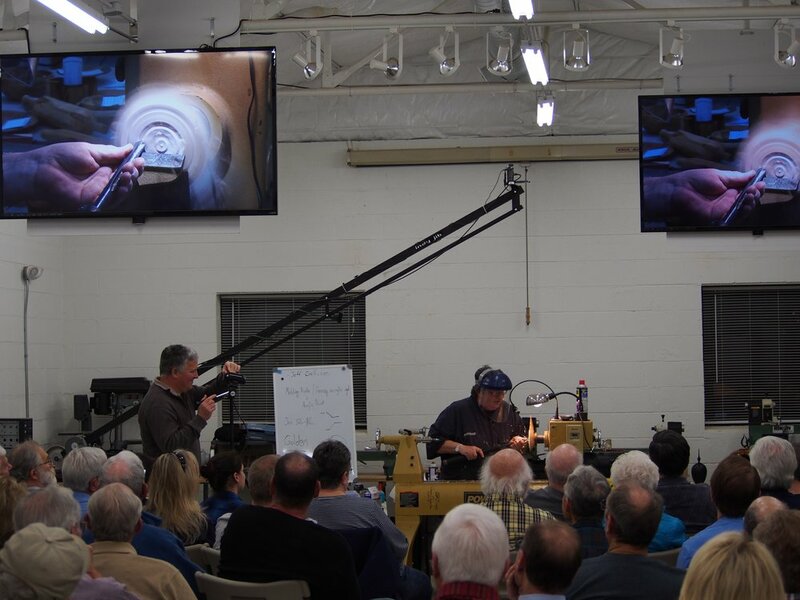 There will be an opportunity for attendees to try their hand, or more accurately, their foot, to make the lathes turn objects while shaping the blanks with tools that we can use on our 21st Century lathes. Steve will incorporate some discussion about green wood, which most "bodgers" used when turning on a pole lathe; the preparation of blanks; how bowls were turned on pole lathes; and some of the techniques our forefathers used to finish green wood items. He will also have other tools and equipment used by turners during the colonial era to make their jobs somewhat less laborious. The Southern Piedmont Woodturners meet on the 3rd Tuesday of each monthThe Southern Piedmont Woodturners meet on the 3rd Tuesday of each month at 6:30 pm until 9:00 pm. We meet at our studio (#122) at Clearwater Artist Studios, 223 Crowell Drive NW, Concord, NC 28025. Members begin to arrive around 5:30 pm and the program is usually finished by 9:00 pm.